Have more questions? Ready to get started? Request your enrollment link by calling 918-699-7100 or 1-800-364-3628 today! Get more information about online and mobile services here. Improvements to online banking are coming in September. Energy One’s free app puts Online Bank in the palm of your hand! 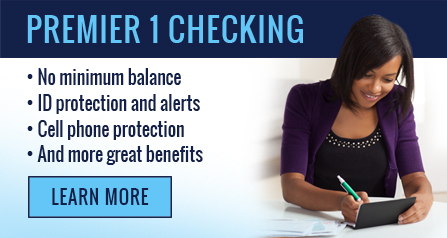 View your balances and transaction history, transfer money, pay bills, and even deposit checks! The app is available for smartphones using iPhone and Android operating systems. Learn more or get it free from your app store today. Introducing Instant Balance. No login. No waiting. Want to take a peek at your account balance? Our mobile app’s new Instant Balance feature lets you view up to six accounts from the login screen – no password necessary. Just tap the new Instant Balance button on the login screen to begin the setup process. Download the latest version of our mobile app to use this feature. Email it. Text it. Pay people with Popmoney®. The Popmoney personal payment service lets you send, receive or request money from friends, family or just about anyone with an email address or mobile number. * Popmoney is now a part of our online bill pay service and lets you move money from your bank account to theirs safely and securely, with ease. Login to your Online Bank account, go to Pay It! > Popmoney to get started. A2A is also part of Pay It!, allowing you to transfer funds to or from virtually any financial institution. This allows you to move money between Energy One and any other account at any institution whether it is a brokerage, bank or credit union account. A2A offers safe, secure and efficient transfers, and could be used in the place of wires. Sign up for Pay It! through the online bank. For Pay It! customer service, call 1-800-877-8021. The multi-factor authentication (MFA) security feature works 24/7 to protect your online bank account, even when you’re not online. It helps guard against fraudulent login’s and phishing—malicious requests for your personal information, and identity theft. This makes your account harder to compromise because it relies on more than a password for access. You will be shown a security phrase each time you login, to prove to you that you’re at the authentic online bank site and you will register the computer you use to access your account. Any attempts to login made from an unregistered computer will prompt the system to ask for further verification, such as the answers to security questions you set up at enrollment. For frequently asked questions about online bank, click here. Going through trash and mail are consistently among the most common ways to victimize someone. The Better Business Bureau recommends that you bank entirely online to protect yourself. That’s why Energy One offers the full suite of online banking options for free. Online bank allows you to monitor your accounts in real-time, so you can catch suspicious activity as it happens. Bill pay keeps your checks out of the mail and your account number private. Notifications and eStatements also keep your account numbers and information out of the mail. Sign up for free and remember that Energy One is here to protect you. **There is a $5.95 non use fee when payment is not processed every 60 days.